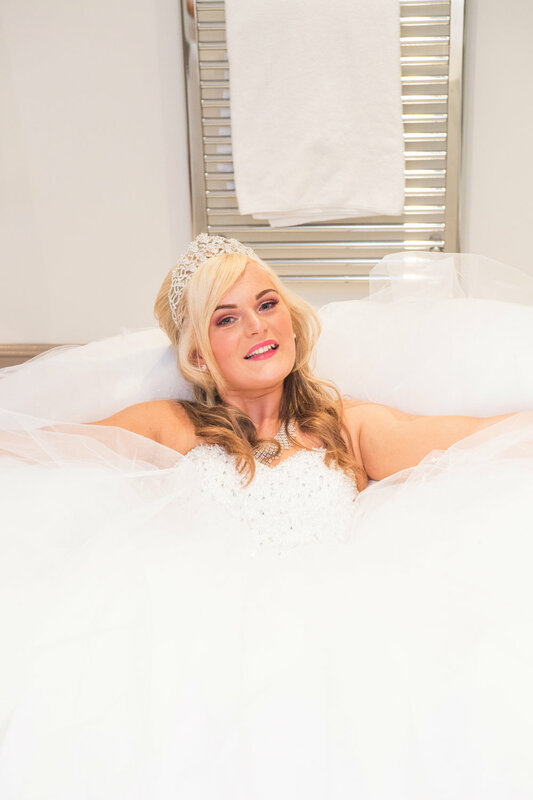 Worcestershire based, Clickspeed Photography offer, professional stylish wedding photography in Stourport, Kidderminster, Worcester, and across the West Midlands. Always providing two photographers to cover your day, our approach is, natural and relaxed, providing a uniquely fun wedding experience with the minimum of fuss. Natural, relaxed wedding photography from a family team based in the West Midlands, covering Kidderminster, Worcester, Coventry and Warwickshire, and the whole of the West Midlands. We pride ourselves on capturing your special day with professional and stylish photography. By building a rapport with you, the client, we are able to establish your needs and can create a plan that accomplishes everything you would like with either non intrusive reportage photography or with manageable photographic sessions. We appreciate that everyone's wedding day is unique and therefore we offer bespoke packages that hold NO TIME RESTRICTIONS. Your memories really matter to us, as we are truly passionate about what we offer. We provide you with a personal, professional, flexible, and affordable wedding photography service. We take time behind the scenes to meticulously plan your photography around your day, to ensure that everything is covered, whilst you enjoy every aspect of your day to the full. We work in a friendly and relaxed manner to help you and all of your guests feel comfortable. By getting along with all of your wedding party, we can take photos throughout the day, as though we were actually part of the guest list. No time restrictions means that we only take one booking for the day, so what ever happens you won't be charged for additional time over your initial plan, or if things overrun for any reason. Providing two photographers within your package means that every aspect of your wedding can be covered from more than one perspective. Two photographers allows your pictures to be more flexible and more relaxed. The more you and your guests are relaxed the better your experience of your pictures being taken, and the better your memories will be of your wedding day. One price means that your package includes two photographers, for as long as your day lasts, or as long as you want coverage. We will never charge you extra for any additional time required during your wedding day. Simply relax and enjoy everything about your day. We cover Worcestershire, Warwickshire, Staffordshire, Shropshire, Herefordshire, and the whole of the West Midlands. But we don't stop there. Our standard package covers any destination up to a distance of 100 miles away from our bases in Kidderminster and Stourport. For any weddings over this distance, we will only charge you for additional fuel and the cost of a budget overnight stay if required. Where possible, we meet prospective clients prior to any booking. This is the perfect opportunity to discuss your special requirements, look over examples of our recent work, and talk over idea options to ensure that you get the very best from your wedding photography experience from start to finish. This is preferable if events are to run smoothly. We generally visit your venue with you around 4-6 weeks before your wedding. During this visit, we can fine tune your last minute plans, liaise with your venue organisers, and formulate a comprehensive plan that works for all concerned. We can also take pre wedding photos at the same time if you wish. After your wedding is over, and all of your guests have gone home, your cake has been eaten, your flowers have withered, and your wedding dress has been packed away at the back of your wardrobe, what do you have to remember all of your extensive planning, those little details, and emotional moments throughout the day? Your photographs are the only things that remain to remind you of your wedding and bring all of your memories vividly flooding back to you. We believe that choosing your wedding photographer is one of the most important decisions you can make when planning your wedding. It can be very daunting, but doesn't have to be difficult. Think about what you want to include in your wedding. Find photos on the internet that reflect the style that suits you best, and create a style board with them. Find a photographer that you feel could provide the images that would best reflect your style. Like the photos, like the photographer, and finally like the price. If you are unsure about what images you would like taken during your wedding, we have prepared a simple ideas list to help you get started. By careful planning, we can take all of the photos that you want, and help your day flow more efficiently, leaving you to enjoy all of those key moments with your friends and family, creating cherished memories for many years to come. We feel that the more detailed your wedding plan, the more relaxed your wedding day will be! We want all of our couples to enjoy their wedding as much as possible. By working hard behind the scenes, and throughout the day, we want to help you and all of your guests to have the best day possible, so that your best memories are full of smiles! I would like to thank you for making our wedding day a reality! Thanks for putting up with us ,you took your time and ensured that you captured all the amazing memories. We are so grateful to you for all that you did for us. Our wedding photos are beyond perfect , they are out of this world. We have nothing but praise for you from all our wedding guests regarding your professionalism and outstanding work . We wish you well always. We can't thank you enough. We are still on cloud 9 from our wedding day, it truly was the best day of our lives!!! Thank you both for making it such a special day. The photos are great! We love them! Not sure how we'd be able to choose for the album though, as they're all fabulous!! David and Sandra were amazing cannot recommended them enough! Completely in love with all my photos, and my album is gorgeous the photos inside captured the day perfectly so many natural photos of our girls reminding us every time of something new we remembered or snippets we didn't get to see builds a beautiful memory in photos. Thanks so much for for taking your time with us on our planning and pre wedding photoshoot today, we really enjoyed every single bit of it! You really went beyond our expectations! We absolutely love our wedding album, its so beautiful we cant wait to show it off. Thank you again for photographing our wedding and for the all the work on the album we will definetly be recommending you to any friends that will be getting married in the future. Our wedding pictures are amazing. Thank you so much! The photos are everything we wanted and more! Thank you so, so much, they're beautiful! Just wanted to drop you a line to say a massive thank you to you both for not just the brilliant photographs you produced for Nina and Lukes Wedding but also for being so incredibly jovial, helpful and supportive on what was a very 'difficult day for myself particularly'. You both were incredibly patient, caring, and more than happy to 'jump in and sort things out' if there were any problems - e.g. helping with cleaning out the pipes in the bar David when the staff seemed to be in difficulty, and the effort you both made keeping the bride and groom apart whilst the videography was going on :)!. I simply cannot thankyou enough and will definitely be recommending you to all I know!!. Wow what can we say you did more than a 5 star service for us at our wedding on Saturday, you did such a great job we can't thank you enough. Even under stressful conditions you didn't faulter. Great guys! I just wanted to let you know how happy we are with our album. It's absolutely gorgeous, and I wanted to thank you for all your help every step on the way before and after the wedding!! We would recommend you both highly to anyone! Thank you for capturing our special day. Wow David! What a lot of fabulous photographs! We nor our friends and family have ever looked as good as that! It was so nice meeting up with you today, we were both impressed with your amazing work, can't wait for the big day already, we are already visualising how our wedding album will look like. Just wanted to say a huge thankyou to you both for making our day so amazing. We both had a fantastic day, which flowed really well. It was lovely to have you both at our wedding and you really did put us at ease.Some of our guests have commented how lovely you both were and enjoyed speaking to you both, so I said I would pass that on. We've had a good look through the pics and really love them! Thanks again for doing such a great job on the day, both you and Sandra were brilliant from start to finish! We"ll keep going through and noting our favorites, but we just wanted to let you know we're really pleased with them. Thank you for sorting the photos, they are perfect! We love them! on behalf of Jackie and Jay (who are at the moment in the air on their way to their honeymoon) Mick and i would like to thank you for the work you did on Friday at their wedding.We were blown away by the professionalism from you both! You were there all those hours but we didn't actually feel as if you were there ( if you know what I mean ). Thanks again for that you did and we will certainly recommend you to friends and family in future. Thank you so much for all the photos, they're fantastic, we're so pleased with all of them! Thank you and Sandra again for your hard work on the day, the photos are truly fantastic! “David and Sandra are a pleasure to be around. Booking was very simple and throughout the lead-up to our wedding Clickspeed were clear and efficient, asking what we wanted and guiding us through what was required, and translating our thoughts into a plan that reflected what we wanted from our photos. On the day they were so polite and friendly to everyone and yet invisible most of the time. They just let us and our guests get on with enjoying the day, which was crucial to us. David and Sandra have an incredible talent for capturing the feeling of an image. To see something and make such a beautiful and thoughtful photo was amazing. Tiffany and I would like to thank you, Sandra, and Henry for your time on our special day. All our guests commented on your professionalism and we really enjoyed sharing our wedding day with all of you. Oh David we haven't moved from the computer all evening!, , the photos are lovely. God only knows how we are going to choose which to place in an album! Thank you so much. Paul and I could not thank you and Sandra anymore. We had the most wonderful day and you both captured every moment of it. Thank you. Thanks very much, our pictures are AMAZING! We are so pleased, thank you so much! David came to our rescue and made our album for us when our photographer went awol failed to provide us with our album. We can now show off our wedding photos with pride! We'd just like to reiterate how fantastic you have all been since we first met, at our wedding and after the big day. Your kindness, patience and professionalism has been second to none and the services provided for the price is absolutely unbeatable. All of our guests have commented on how friendly you were on the wedding day and how you put everyone at ease to take some incredible photographs, so much so in fact, that the guests genuinely thought that you were close friends of the family! The photographs themselves are all stunning and we couldn't be happier with them. Thank you so much for everything you have done for us - we're incredibly grateful and have already recommended you to a number of others who have started their wedding planning. WOW! I never thought that our photos would be this good! thank you so much! We spoke to lots of photographers at Sunday's show (we think there were far too many there) but only you and your wife impressed us. The others just annoyed us by telling us how many weddings they've done and pushing the proof in front of us...you and your wife didn't refer to us as a special case nor did you need to prove yourselves by showing us anything..you simply gave us your time, even though there were people waiting behind us! So..the booking is yours and we look forward to getting to know you both. Just got back from Sri Lanka last night so I just wanted to thank you very much for everything that you did on our day – everyone we’ve spoken to has said how fantastic you both were and how impressed they were with the way you blended in and were really unobtrusive! 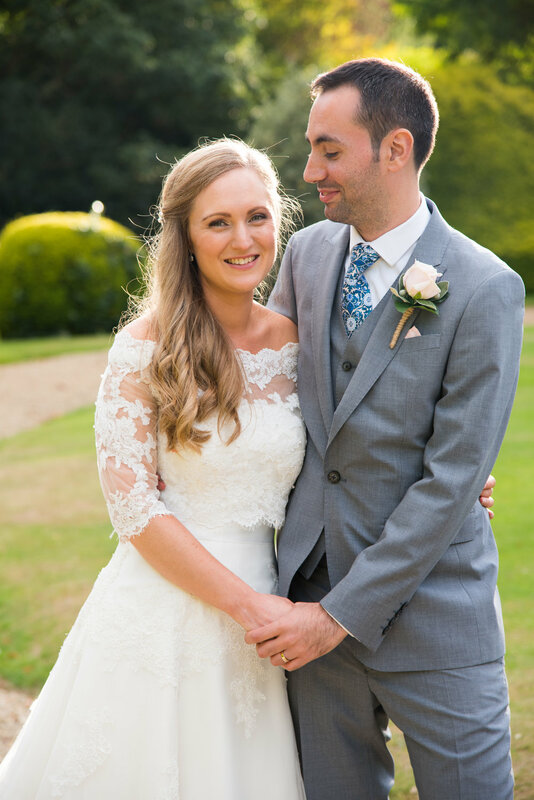 Both Richard and I really appreciated how relaxed you made us feel and we really felt as if you were invited guests by the end of the day rather than photographers!" 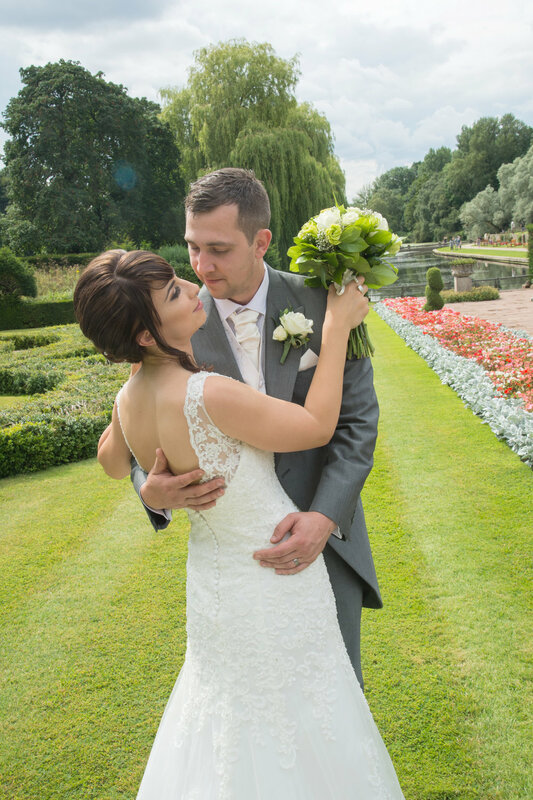 Thank you so much for uploading the photos they are all absolutely stunning, me and Pete are so happy with them. I really can't express in words how amazingly you both captured the day!! We have had so many lovely comments on the photos and everyone really enjoyed seeing them. I will now be chasing you for our wedding album! I am just writing to tell you what a fantastic job you have done with the wedding album. We love it! We have had so many compliments on it and I would definately recommend you to anyone thinking of getting married. Thank you for a great job you have done and all the best. Many Thanks. "Our pictures are fabulous, we love them!" Our gallery of photographs you have put up from our wedding day are: Amazing, fantastic, special, wonderful, brilliant, delightful and funny. What a job you both did in giving us exactly what we asked for to 'capture the fun and the essence' so we may enjoy for years to come. I am in awe. May I take a moment to tell you both that you are AMAZING. not just TRUELY professional but TRUELY lovely people. I am so pleased we found you both and I honestly cannot say thank you enough for going with the day and everyone in it. All the pictures look fantastic thank you! I cannot put into words and grateful Jimmy and I are for the work you and Sandra did on Sunday. You made everything so easy and enjoyable and I have no doubt the photos will be beautiful. Thank you for putting up with us and our crazy wedding party. Jimmy and I both feel it was just like having two of our friends there doing our photographs. Thank you for making it all so special.We are so excited to see the photos. Hi David and Sandra, We've finally managed to look at our pictures and they are wonderful. We love them! You did a fantastic job on the day, and the results look amazing! Thankyou!! 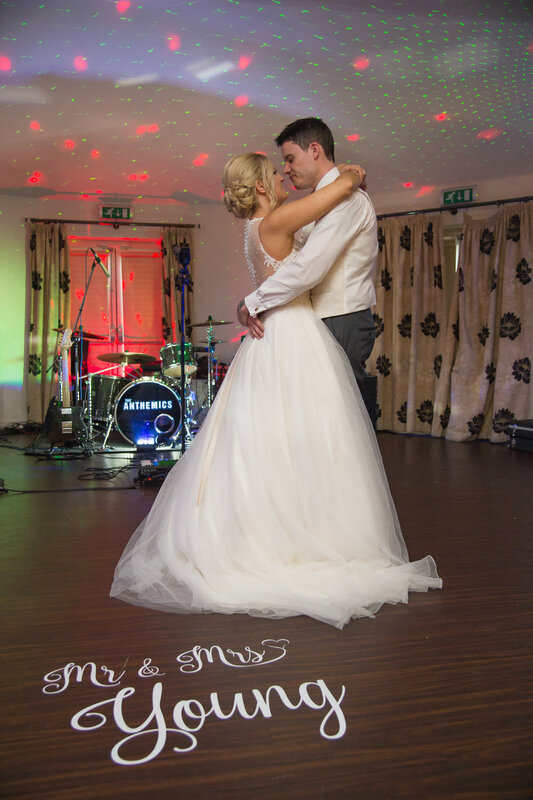 "Thank you so much you pair you were brilliant and made us and our guests feel really at ease and thank you for you kindness and patience even with the difficult guest lol .Happy New year to you both and we carnt wait to see the photographs ..you really are awesome ..and we would recommend you to everyone." "David and Sandra, Thank you for being our photographers on our wedding day. 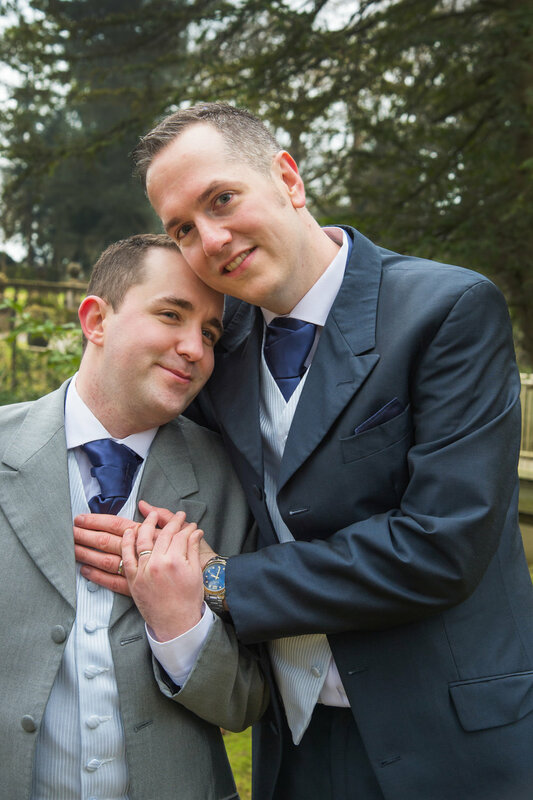 Not only did your professionalism shine out through the day, but your kindness and guidance made everyone feel at ease and brought everybody together to enjoy our wedding day, we are so touched and thank you from the bottom of our hearts." "Hi David, We have now viewed our photos and oh my, they are the best ever! They are fantastic and brought all of our memories rushing back of our day!" "David, we have gone through our online gallery tonight, so many lovely photos...!" "Hi David, We've had a look at our photos online, and we are overjoyed with them. Can't wait to see the album!" "Hello David, Our photos are amazing! Thanks so much!" "Thank u once again from me and Mik after our phone call today very professional and we can't wait for you to make our day even more special will definitely recommend you :)"
"WOW, the photos we have seen sofar are amazing! Thank you so much, and can not wait to see the rest"
"Hi Clickspeed, the photos of our wedding are amazing and look great!. They really captured the moment, can't wait to see the others! Thanks for all of the wonderful work you have created for us and for capturing our memories from our perfect day!" Georgina & and I would like to thank you for your professionalism and hard work at our wedding. You interacted so well with our guests and delivered exactly what we wanted. We have had so many comments about the pictures you both took. The children looked beautiful! You were the perfect photographers for a perfect day! All the best!" Thank you for all of your efforts leading up to the big day of our wedding, we really appreciate you wanting our day to be special." Wonderful!!!! So far the pictures of Elliott and Louise are the most beautiful photographs I have ever seen! Both Eric and I are in tears. We can't wait to see the rest Thank you, thank you so much!" Thankyou so much for forwarding us a glimpse of the photos. They are absolutely stunning. We await with baited breath to see the remaining shots. We found you and your son to be truly professional and personable, thus making the day even more memorable. Thanks again"
"We Love the photos that are on our gallery site , so many to choose from. I already know that my sister loves the black and white ones of herself , and so do I!" We want you to have the very best wedding album possible. All of our albums are hand crafted in Italy, using the only finest materials, to the highest possible quality. With infinite combination options, we guarantee that no two of our albums will ever be the same. Not only will your album house your favourite photos, but also tell your story. The materials used in constructing your unique luxury album will make you want to look at your photos again and again, ensuring your memories will last a lifetime. The culmination of 20 years design innovation, and Italian passion combine to make the Original Wedding Book by Graphistudio the album style that leads the world with more cover and customisation options than any other manufacturer. The DMA Album unleashes creativity and innovation to levels never seen before. The sumptuous combination of different papers, custom effects, and selective coatings produces a product without limits. For those who will accept nothing but the best! We want to keep things simple for all of our couples. Therefore all of our packages that cover the whole day with no additional charges however long your wedding day may be. Choose a package that includes an album included or a package that gives you the facility to buy your album separately at a later date after your wedding. Still interested and want to know more? Contact us directly to ask any question or to make your booking. We would love to share your day and take your wedding photographs for you! The photos from your wedding will be edited and uploaded onto our own secure on line galleries for you and your friends and family to view via your own unique password. Each image can be viewed individually, and prints can be purchased on line via Paypal. Once ordered, each image will be printed and shipped direct within a couple of days. When you are ready, we can then start work designing your album pages. When you receive your draft designs, you can then choose to change any of the images within your album design by quoting the individual file name assigned to each image within the gallery. When your album is complete, all images from your on line galleries will be provided on USB media and delivered with your album.